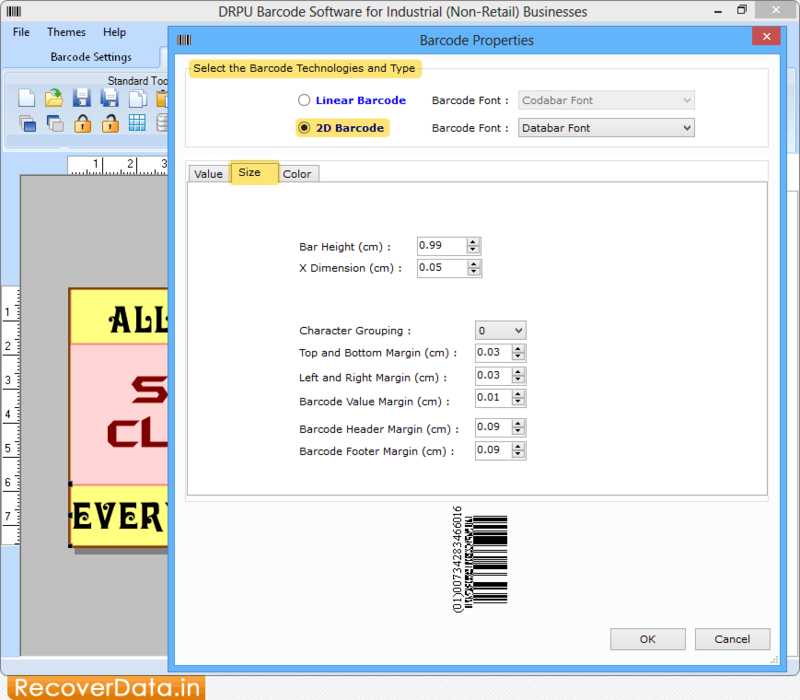 Select 2D Barcode then click on 'Size' tab to set Bar Height, Character Grouping, etc. You can adjust 'Shape Outline' and 'Transparency' for your Shape using Shape Properties. 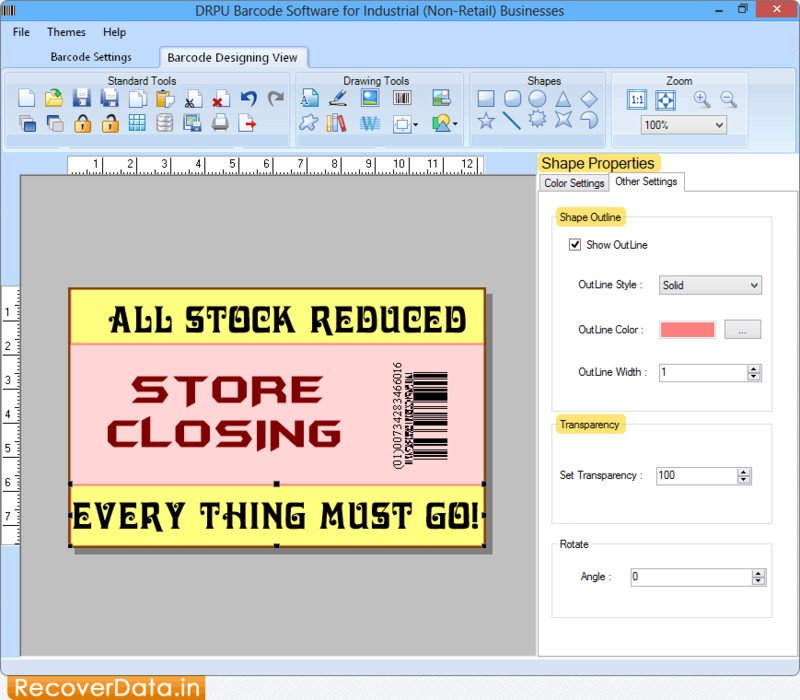 Choose Manual mode and then specify 'Page Properties' and 'Margin Between Labels'. 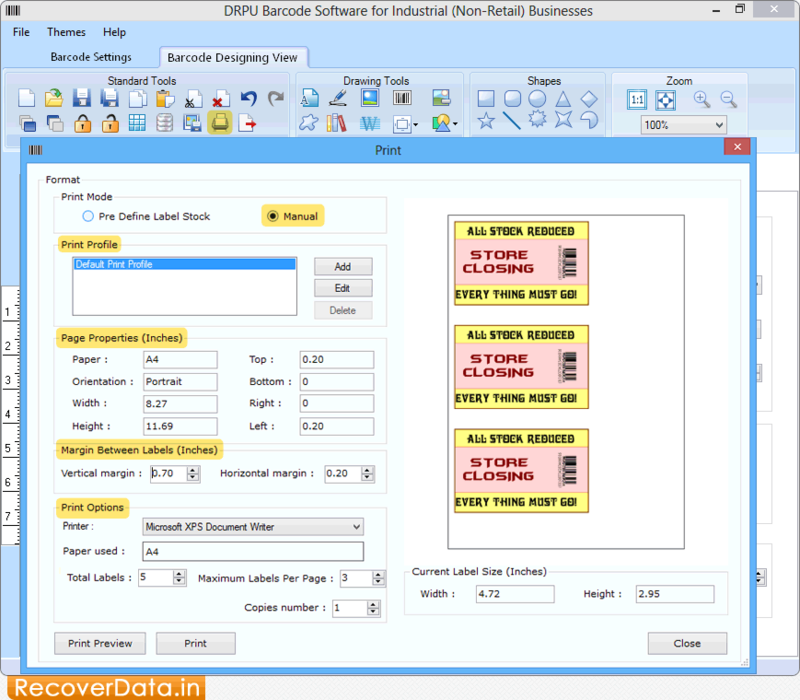 In 'Print Options' you can select printer and specify total labels, labels per page, copies number, etc.